Many comparisons have been made between the Kurt Warner-years St. Louis Rams and the current Kansas City Chiefs. And now, at least in one area, the Chiefs have surpassed the Greatest Show on Turf. In a 45-10 rout of the Cincinnati Bengals, in a game of two playoff contenders once again and in prime time, Pat Mahomes and his team dominated the helpless Bengals and even got their defense in on the fun. 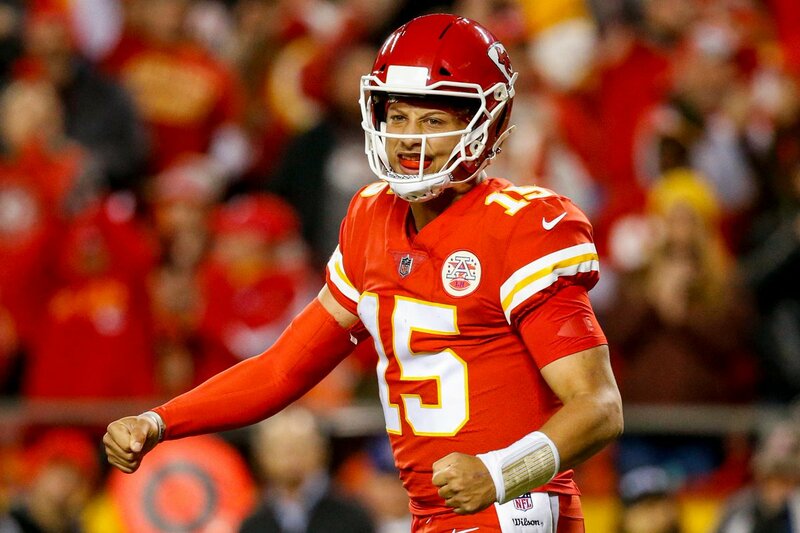 Mahomes broke Warner’s record of touchdowns through his first eight career games and now has 22 of them so far. His team improved to 6-1 on the season with the win, bouncing back from a loss last weekend against New England in which the Patriots had home field, didn’t punt, and didn’t have a single flag on offense. That’s what it’s going to take to beat the Chiefs right now. This game was effectively over in the first half. You’ve got to keep up with the offense, and just no one has much of an answer for that at the moment. Elsewhere, the Patriots found themselves in a battle with the Chicago Bears for much of Sunday afternoon. But in the end, it was the Pats that pulled away, in large part due to Josh Gordon, to win 38-31 and improve to 5-2 and remain in the hunt for the #1 seed in the playoffs in the AFC behind the Chiefs. It was a huge win for them, because it showed they could win on the road, and it also showed that they can put up points against any team, including one that has a defense that is as good as the Bears’ is. They did turn the ball over three times, something that cannot happen if and when they have to travel to Arrowhead. Many would say that the biggest losers this weekend were the Buffalo Bills- who scored just five points in another God-awful display. But the Philadelphia Eagles should take those honors after they somehow conspired to lose after leading at home 17-0 in the fourth quarter to the Carolina Panthers. The Panthers had gone 0-2 on the road to start the season as well, making this loss for the defending Super Bowl champions even more frustrating. The win keeps the Panthers in the race in the NFC South along with the New Orleans Saints, while the loss for the Eagles means they will have a very hard time contending for the playoffs at all this season. There’s no guarantees in football, even if you are defending champs. Other meaningful results that deserve a mention include the LA Rams, who dominated the San Francisco 49ers 39-10 to move to 7-0 on the season. The Saints won 24-23 over the very hot Baltimore Ravens after a missed extra point with mere seconds left on the clock. And finally, the Jacksonville Jaguars continued their sudden skid with a 20-7 loss to the Houston Texans. That’s their fourth loss in five games since beating the Patriots, a sign that they aren’t the team we thought they were after all.